It seems easy to slip some more veges into lunch and dinner but are you missing out on an entire mealtime opportunity by not adding vegetables to breakfast? 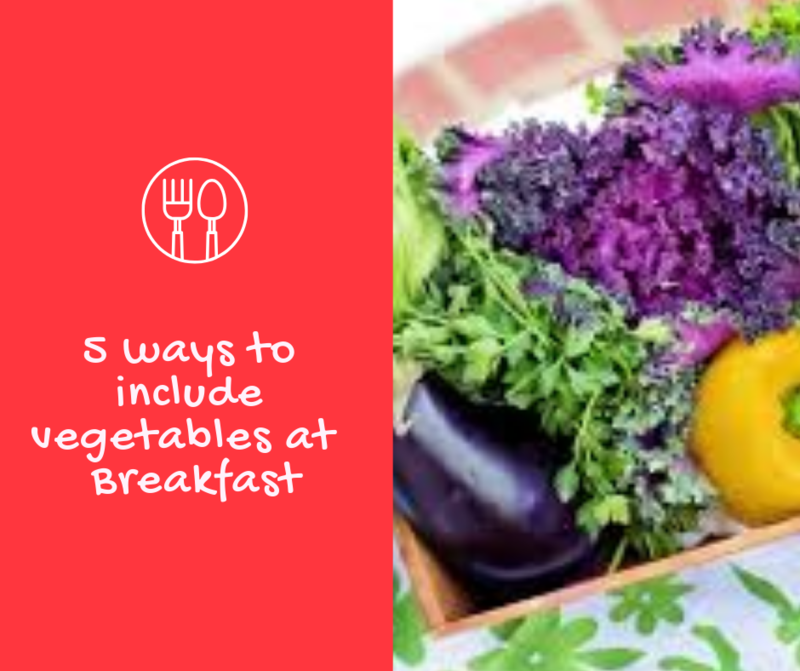 Most people are a little reluctant to include vegetables at breakfast but there are many ways that you can include and enjoy them every day. Sure, you could just have “vegetables on toast”; but this can get a little dull. 1. Add them to your eggs. So many styles, so many choices. You can add vegetables to poached and fried eggs as a base layer on your toast or just as a side dish. Or add to scrambled, muffin style eggs and omelettes. Really there Is no excuse not to. If you are in a hurry or prefer to drink your vegetables, try a vegetable-based smoothie. You can add these in with fruit if you like. Green leafy vegetables, spinach, carrot, beetroot and cucumber work well. If you love to bake, why not try a breakfast muffin or tea bread loaded with vegetables? You can make these and freeze to use when needed. Tea bread can be popped in the toaster in the morning. Or a new recipe I will be trying and putting up soon – courgette, apple and carrot bread. 4. Add vegetables to your porridge – yes, seriously! Now, this may sound odd, but you can add some vegetable to your oats. You could go the whole shebang and have a savoury vegetable porridge using cauliflower, peppers, garlic, chillies or if you aren’t quite ready, try a carrot cake variety. All you need to do is to add grated carrot, walnuts, cinnamon, nutmeg, raisins and a swirl of cream cheese. Try it, you may just love it! Stop putting the pressure on lunch and dinner. If you are looking for a way to build up on vegetables, aim to try just one of these ideas this week and build from there. Please do share if you tried any or if you have any other ideas for adding vegetables to the most important meals of the day.